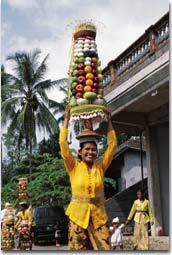 Travel to Asia and experience authentic luxury travel with a splash of Indonesian flair in Bali. This magical destination, complete with secluded beaches, lush vegetation, lively culture, and small, intimate resorts is a hot spot for luxury travel. Get some pointers from Hideaways Founder Mike Thiel on how to spend your vacation days and where to retire for the evening. How do a Japanese-style soaking tub, a platform daybed overlooking the sea, and Balinese cooking programs sound? These five hotels and resorts sure impressed this travel connoisseur. Experience first class travel with a bonus at these three accommodations on the coast or immerse yourself in the culture (and your private outdoor terrazzo tub) at one of these two hotels close to the village of Ubud. Believe us, there will be no roughing it on this vacation with indoor/outdoor bathrooms, infinity pools, and charming, unique accommodations.